What if you’re eating the perfect diet, exercising regularly, and yet you still struggle with no energy and losing weight? Truth is, you are not alone. 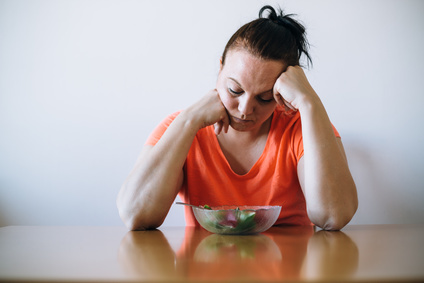 You are among a growing number of Americans who are suffering from a metabolic condition known as weight loss resistance. This condition is being driven by neurotoxins that affect our brain, hormones, and ultimately our cells. It goes far beyond the inability to lose weight; neurotoxins are an up-stream cause of most chronic health conditions today. The majority of modern chronic diseases, including the rise in autoimmune conditions, autism related disorders,hormone conditions, cancer, heart disease, chronic fatigue, fibromyalgia, thyroid conditions, diabetes, chronic pain, and any inflammation driven disease, are all connected to neurotoxicity. The only true solution to any disease state is removing what is interfering with the body healing itself. True Cellular Detox goes upstream to where the real interference is: the CELL. Even the lack of energy and the inability to lose weight are cellular problems driven by neurotoxins, and if you don’t detox the cell you will never get well. We use the words TRUE and CELLULAR because detox is only real and lasting when it occurs at the cellular level. Cellular detox is a fundamental component of fixing a cell and if you don’t fix the cell you will never get well. Think of your body as a bucket. Now imagine the toxins that surround us in daily life are the liquid that slowly fills that bucket. With each toxic exposure, drop-by-drop your bucket becomes more full. A drop here and there isn’t such a big deal, as our immune systems were designed to handle a degree of toxicity. However, chronic exposure to an onslaught of chemical, physical and emotional stressors fills up your bucket each day, and at some point the bucket begins to overflow. It may take a few decades before your bucket spills over, but once it does cellular inflammation is triggered, symptoms arise, and disease manifests. Sadly, the tactics, treatments and downstream detox that got people well in the past do not work nearly as well today because we are sicker and more toxic. The epidemic is at the cell and the detox MUST go there to be effective. We need to recognize that the massive increase in neurotoxins we are exposed to is like no time in the history of man. Many of these chemicals are new to our bodies and have become ubiquitous in our everyday lives, filling our buckets drop by drop, shutting down natural cellular detox pathways and even changing DNA to express diseases or unwanted symptoms. Whether it’s weight-loss resistance, hormone dysregulation, thyroid problems, diabetes, Chronic Fatigue Syndrome, fibromyalgia, autism, autoimmune, and even cancer, the answer is in fact to go upstream to the source and address toxicity and its affect on the cell to achieve restored health. There are three phases that make up True Cellular Detox™ which progress from the preparation of detox pathways, to clearing the body, and ultimately clearing the brain, where the real magic begins. It is the brain phase that has given thousands their lives back. Neurotoxins damage nerves, and the brain is neural tissue. Many unwanted and unexplained symptoms come from the toxins that have embedded deep into the nerves and the brain, and because it is this system that runs and heals the body, you must detox the brain. It is the brain that coordinates all healing through hormones and neurotransmitters; all function starts here. True detox must go upstream to the cell, and that is the key for a lasting solution to today’s epidemic of inflammatory driven disease. However, more specifically, detox must go all the way to the brain cells. This is the ultimate goal of True Cellular Detox™. The goal is to prepare the cellular detox pathways without up-regulating detox (yet), and prepare the downstream detox pathways for successful and safe detox. The goal is to clear the body first to create a lower concentration of toxins from the deeper nerve tissues like the brain. Because toxins move from higher concentration to lower, this allows the toxins to more easily be removed from the brain. The goal is to clear the deep toxins from the brain and nerve tissue. Fat-soluble “true binders” are used in this phase to cross the blood brain barrier as well as the fatty coating that protects the nerves (myelin sheath). This phase is the ultimate goal and is where lives get transformed. Here at Heal the Cells Institute we focus on getting to the root cause of your health issues by beginning at the cellular level. Let us help you regain and optimize your health.